On the 5th of October 2018 from 2:15 pm until 3:15 pm it was the harvest tea party at Oldswinford Primary School. Students could nominate their grandparents (or elderly people that they knew) to receive a formal invite to the party. 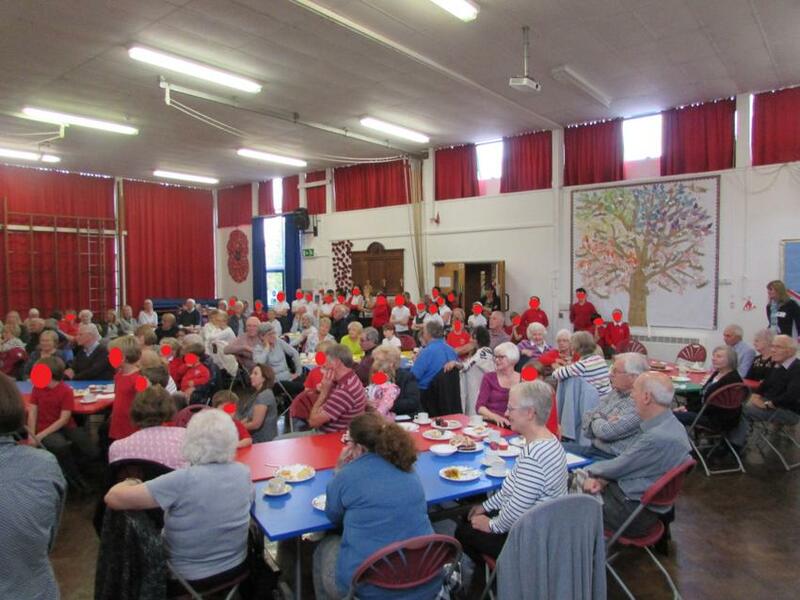 Nearly 100 retired people turned up for the tea party, including people from Oriel House and lots of grandparents of students in the school. They were served with tea by a few very kind members of the PTA and cake that Oldswinford students had kindly donated. At the end of the afternoon sadly, all the visitors had to go as the tea party was over. Lots of cake was left over,which was then driven to the Giving Hands Mission(food bank) in Brierley Hill where it was donated to go to the less fortunate people of Stourbridge and its surounding areas. Overall the afternoon was a great success and was enjoyed by everyone who was involved!